I was perusing the pages of Facebook last evening and came across a video of a pretty pop song dating back to 1966 which had been posted by an acquaintance on that site. The footage showed English singer, Crispian St. Peters, not in the below video but in a fun and slightly awkward stage performance of his hit The Pied Piper. I’ve never really thought very deeply about this nice little piece of mid-sixties pop but it evoked an era for me very well upon hearing it again and watching Crispian’s performance. I had a further search on his name on YouTube and quickly came across the song and his other excellent and rather moody hit You Were On My Mind and enjoyed that too. Listening to these songs set me back thinking to that time, a time when the ‘Hit Parade’ was eagerly listened to every Sunday on the ‘wireless’ and when The Beatles, The Stones and The Beach Boys et al were in their pomp and strutting their stuff with what seemed like some wondrous new music. It’s those kinds of bands that people tend to remember these days and for good reason, but I do feel that some of the straight-ahead pop of the era from now sometimes forgotten artists was unbeatable. The melodies of some of these one and two-off songs from artists such as Crispian St. Peters will probably live forever. The year of 1966 was something of a watershed in popular music. Nobody particularly used the rather disparaging term ‘bubblegum pop’ yet and psychedelia was just around the corner whilst later, the defining days of Woodstock were still to happen. A young me was trying to make progress at my first junior school and scared to death of most aspects of trying to settle into ‘the big school’. Pop music was everything to me then, having an older sister who worked in a record department of a department store and bringing home all the exciting latest vinyl releases. Sometimes my first taste of many of these songs would be in the sound cubicles of Griffin & Spalding – a rarity in those days – in the Old Market Square in Nottingham. Subsequently I learned to love the sounds of some of the greatest artists of all-time in this way, artists such as Otis Redding who remains my ‘main man’ to this day. It was a time of listening to the like of Emperor Roscoe and Simon Dee spinning the discs and listening in under the bedclothes to Radio Caroline. Above all it was a tremendously exciting and dynamic time in popular music. The video above is an innocent and unsophisticated affair compared to offerings in 2010. Crispian St. Peter depicted as The Pied Piper himself with a group of young schoolchildren who have clearly been told to ‘march’ after Crispian. For some reason I find it very touching, maybe because I was little older than those children at that time in 1966. I looked and was dressed to go to school very similarly. It also portrays the innocence of not only the era but also of being that age. There is a particularly tender and lovely moment when one of the little boys runs to catch Crispian and hold his hand to walk with him. Somehow very poignant and touching. 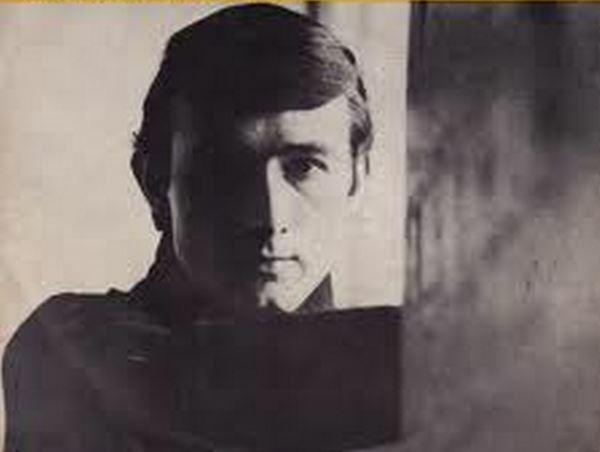 Crispian St. Peters, born Robin Peter Smith, the young man in the video with the chiselled, boyish good looks and the popular mod-ish style of the era, passed away at the age of seventy-one in June 2010. Being, I suspect, of a similar age to you, I love this song… but what’s he got in that laundry basket? I had wondered that too!